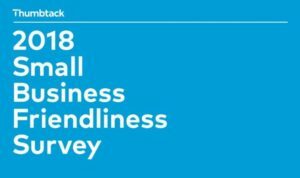 The 2018 Small Business Friendliness Survey is out and RI fell by two places to #48. We received an “F” grade for our business regulatory environment. In addition, 72% of respondents said they thought “government was more concerned with attracting new corporations than supporting small businesses in the state.” We have to grow our way out of our fiscal challenges in RI. In order to do that we must nurture the local businesses in our own backyard and create inclusive economic growth. As state representative for District 4, I will fight to streamline regulations, eliminate the minimum LLC tax, reduce the intangible tax, and create a revolving loan fund for small business. Learn more about Mark’s ideas for strengthening our economy and supporting small businesses at marktracy.com/issues.